The Woodrow Wilson Presidential Library and Museum invites families and children of all ages to the unveiling of Woolly Wilson, The Presidential Sheep on Saturday, March 5 from 11 AM- 3 PM. This permanent children’s exhibit which will be on display throughout the Museum, interprets the life and times of President Woodrow Wilson, Staunton’s favorite son. The “Woolly unveiling” is free and open to the public. Games, Activities, and even some Sheep provided by Cross Creek Farm will round out this fun and educational day. 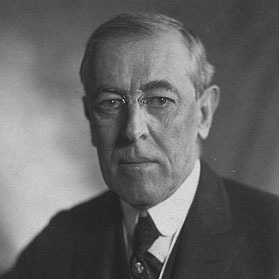 The Woodrow Wilson Presidential Library and Museum is located at 20 N. Coalter Street in Staunton, Virginia. Additional parking will be available in the Market Street (Hardy) parking lot.